I’m listening to Keith Richard’s autobiography Life right now. Audio books don’t usually work for me unless I have something to do while I listen. I can sit and read but I can’t just sit and listen. And I don’t spend that much time in a car these days but today I got in my car and drove around for an hour to think and look and listen to Life. I love listening to this book because of the British accents; and I know Keith has a ghostwriter, so I’m not sure whom to credit, but I love the writing in Life. Keith’s writing voice is so calm and straightforward, even when talking about the most dramatic situations possible and I can see the strength of character that helped form one of the premiere rock and roll bands of the 20th century. I’ve been thinking a lot lately about how people get good at what they do. It’s weird to think that a band as gigantic as The Rolling Stones was once a collection of broke musicians, stealing food from grocery stores and playing 15-minute gigs between more popular bands because no one cared about their music. 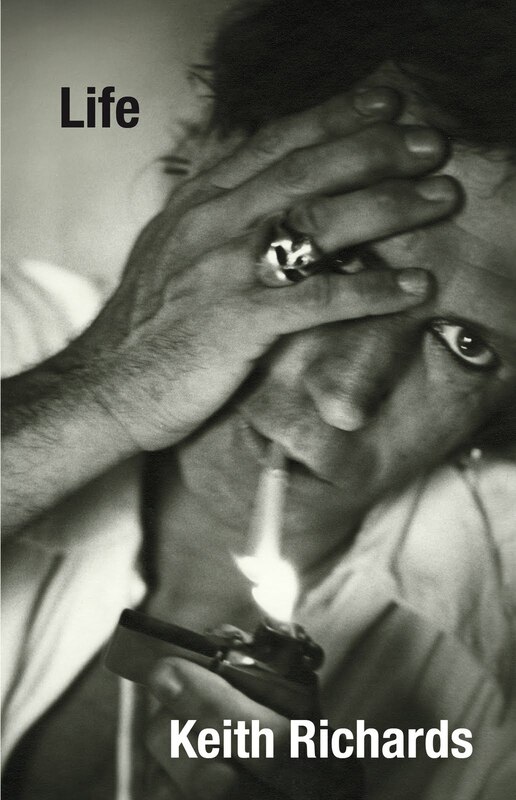 I know there are a lot of factors that affect fame, including some free floating zeitgeist that certain writers, artists and musicians find a way to tap into, but I loved hearing about the early years of Keith’s musicianship because I think it explains how the Stones got where they are today. In addition to several previous years of regular guitar practice, Keith says that he spent at least 2 solid years spending most hours of the day with the fledgling members of the Stones listening to records by famous musicians and trying to unravel the music. 730 days spent in his flat listening to records, trying to play his guitar like these other guitarists and picking apart the other instruments to figure out how a band comes together to play a great song and what each person needs to do to make that happen. But without knowing how to play guitar, without all that time spent learning to play like other people and shaping the band’s output, the Rolling Stones could never have been good enough to unravel the music and form the basics of their sound. The sound that made them world famous. And if they’d stopped at just learning to play like Chuck Berry and Muddy Waters, they might be the best cover band of all time but they wouldn’t be the Rolling Stones. It seems all of it is necessary. All the time spent practicing the basics, all the time spent imitating, all the time spent breaking the rules and all the time spent persevering in the face of detractors and believing that their music was important and they were the next big thing. Practice. Imitation. Breaking Free and Belief. All of it. Together. Pick up this book. It’s great. This entry was posted in Arizona, Books, Tucson, Writing and tagged Audio books, Can't shortcut the time no matter what, Ivy is a seamstress not a designer, Keith Richards autobiography, Life, The Rolling Stones, Tucson. Bookmark the permalink. I too love the stories about how people master their craft. The book Outliers by Malcolm Gladwell also has some interesting theories on that. You should check it out. . .
My mom talks a lot about that book. And I’ve thought about it quite a bit this week. I need to pick it up.